Sports lens has dust & splash proof "construction" while the Contemporary has a dust & splash proof "mount"
I hope to have these full reviews completed soon. 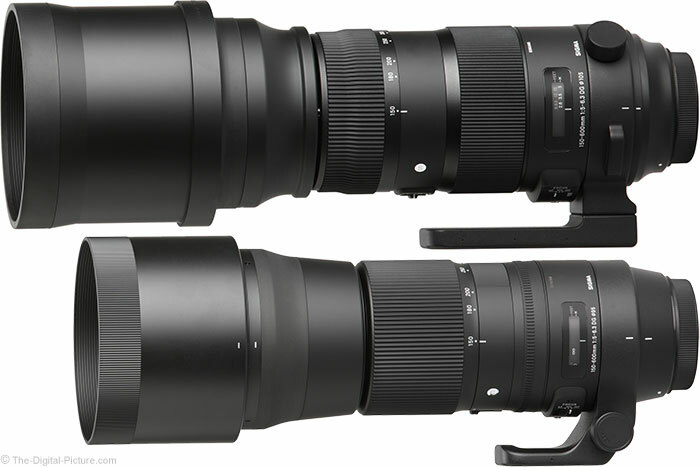 B&H has the Sigma 150-600mm f/5-6.3 DG OS HSM Sports Lens available for preorder (Sigma mount is in stock). B&H has the Sigma 150-600mm f/5-6.3 DG OS HSM Contemporary Lens in Canon mount in stock with other mounts available for preorder.